If moving from a current apartment or for frst time apartment dwellers, it pays – in more ways than one – to check out LongDistanceMovingCompanies.com’s new quote tool for apartment movers. LongDistanceMovingCompanies.com can help take care of all moving needs. Whether moving from an apartment to a home, or from one apartment to another apartment, they have the tools to make any move easier. All too often people fall victim to being overcharged for their move. This becomes even more likely if moving from or to an apartment. Apartment moves are not as expensive as moves from a home, yet moving companies sometimes charge the same amount. That is why all apartment movers should use LongDistanceMovingCompanies.com to find the best moving deals for them. “So many of our clients have told us that they paid a fortune on their first apartment move. Then, they found us. They tell us that they saved an enormous amount by using LongDistanceMovingCompanies.com’s quote finder tool the second time that they moved. That just makes our day because that is exactly why we are in business. We want to help everyone who is moving find the very best deal for them,” stated a spokesperson for LongDistanceMovingCompanies.com. LongDistanceMovingCompanies.com’s new quote finder tool allows those moving from an apartment to fill out their information and then get matched with local moving companies. LongDistanceMovingCompanies.com’s tool also provides an instant moving quote that can help narrow down the different prices between companies. This helps in a number of ways, by creating competition between moving companies that are trying to get clients to pick their company, so prices end up lower. It also allows those who are selecting the moving company the opportunity to have a one stop shop where they can get multiple quotes in a matter of seconds. “When I started looking for a mover to help me move out of my apartment, I was shocked at how high the moving company’s prices were. 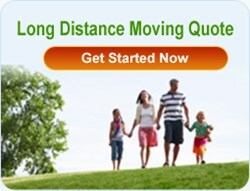 Then, I happened to find LongDistanceMovingCompanies.com’s webpage. All I can say is, http://www.LongDistanceMovingCompanies.com helped me save BIG when it was time for me to move from my apartment. I honestly do not know what I would have done without them!” one customer exclaimed. LongDistanceMovingCompanies.com can help take care of all moving needs. Whether moving from an apartment to a home, or from one apartment to another apartment, LongDistanceMovingCompanies.com has the tools and expertise to help make the move cheaper and quicker.